Autodesk Inc. has developed Point Layout software to perform layout on the construction site accurately. This software can simplify the surveying process by maintaining the perfectness of the model to the job site for contractors and subcontractors. It applies model coordinate information at the construction site to enhance office-to-field efficiency and QA/QC, curtail rework, and improve layout productivity. The software generates points on almost any object and export point locations to a series of robotic instruments. Generate points: Generate points inside drawings and models produced through AutoCAD, Revit, or Navisworks software. Export to robotic instruments: Export points from AutoCAD, Revit, or Navisworks software to a total station or other robotic instrument to keep the layout of the construction accurate. Import field conditions: Import staked point locations back into AutoCAD, Revit, or Navisworks software to facilitate generating an as-built model for handoff. Export to Navisworks: Export your work from AutoCAD or Revit software and import it into Navisworks software to modify your point locations throughout the coordination process. Control points: Add, import, and export control points to your model. Control points can comprise of automatic grid intersection placement, import, and manual placement in AutoCAD and Revit software. 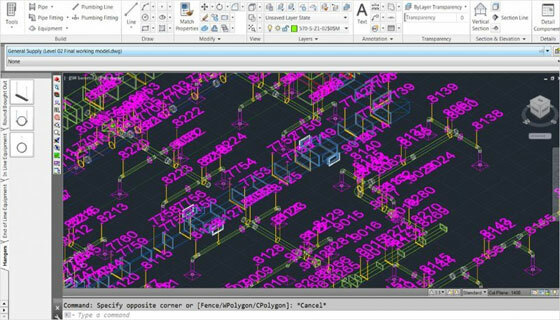 Coordinate systems: Include coordinate systems to your model that match the job site. This allows you to align your points with the entire construction project. 3D-model based layout: Incorporeate with the BIM 360 Layout iPad app and manage your layout from the entire model. Compare points: Utilize imported field points with field deviation reports for QA/QC, then pass issues to BIM 360 Field software for resolution. Slab analysis: Import field or as-built points of any surface into Revit software for deviation analysis of field against the design model. SketchUp is known for its speed activities. It is a quick 3D modeling programme. It often uses as landscaping architects. SketchUp is not so tough to learn, but it takes some time to become expert in this trade. Kevin Pfeiffer, writer of landarchs.com has come up with this article. We made an excerpt. How to lock axis: Functioning shape on 3D space on a 2D screen is not simple. There is much confusion taken place automatically. If you shift to a circle, you may feel that it would go up along y-axis, witnessed that goes along z-axis. In that case you have to use arrow keys for locking the axis. The up and down arrows are Y-axis (Blue) and in the left, the Z-axis (green), then turn right x-axis (red). The movement will be known from here. Use of array tool: Many people simply copy and paste the sketchup shape objects and other things. Many people also repeatedly try Ctrl+v to paste it. It is suggested to use AutoCAD array tool for speedy use of sketchup. Photoshop for vegetation must: Sketchup has many downloadable options (3D Warehouse), but while growing vegetation, the file size creates a problem. The best rout is to use Photoshop with PNG format. view> toolbars…> large tool set. Hotkeys: If the designers wish to speed up the project, then they can use hotkeys. Follow this: window>preferences>shortcuts to obtain the page. SketchUp has developed a list of shortcuts and hotkeys. This video tutorial can guide the designers. 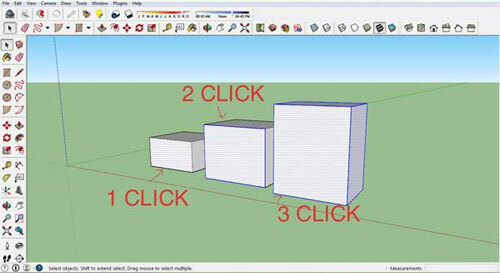 Selecting by click: The Selection on the screen is a major problem in Sketchup. Count the number of click and then, select the face and the face and edge and the whole of the object. Measurement tool: The designers need to syn into the measurement, angle and rest of the data into sketchup. This is the similarity between sketchup and autoCAD that designers do not need to select the textbox contributing data. There is also a ruler tool which marks line on XYZ. Toscana Landscaping & Pools, a Dubai based leading design and build swimming pool and landscaping company, is seeking a innovative designer well versed with Sketchup; Autocad and preferably 3D Max skills to work in tandem with design department. The ideal candidates should have solid background in design as well as minimum 5 years practical working experience. Besides, they should possess Bachelor’s degree / higher diploma. They should have the capability to work independently without taking too much helps from others to design a project and follow it through to detailing and contract closure. The candidates must be proficient with hand sketch as well as rendering design proposals and create models in 3D Sketchup. They should have sound knowledge in CAD. Location of the job will be Dubai, United Arab Emirates and monthly salary US $3,000. Candidates having UAE experience and a driving license will get the preference. Sketchup Mirror plugin is a useful tool for AutoCAD users. This sketchup plugin facilitates the users to go for selecting axis’ to precisely mirror the object following the process they prefer. This plugin aids in mirroring objects easier inside SketchUp. The users can mirror geometry of any object at plane, line or point. Watch the following useful video presented by Mufasu CAD that explains how to utilize sketchup mirror plugins to copy as well as replicate objects similar to mirror view. There are some third party tools, which always help all aspects of drawing quality. SketchUp plays here for AutoCAD Architecture. 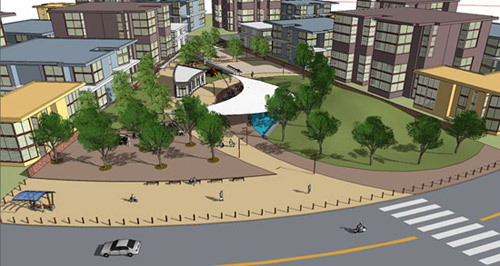 Using the SketchUp, a designer can see is how user-friendly is this application. AutoCAD Architecture (abbreviated as ACA) is a version of Autodesk’s flagship product, AutoCAD, with tools and functions specially suited to architectural work. 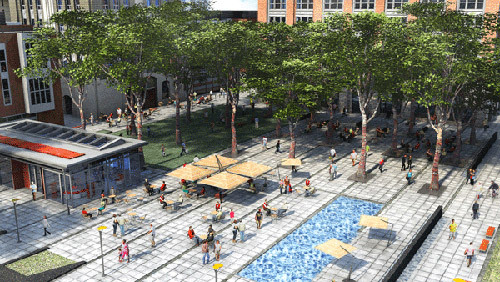 On the other hand, the SketchUp (Formerly: Google Sketchup) is a 3D modeling program for applications such as architectural, interior design, civil and mechanical engineering, film, and video game design. A freeware version, SketchUp Make, and a paid version with additional functionality, SketchUp Pro, are available. The free download includes integrated tools for use in uploading to Google Earth. SketchUp is part of the same product family as Google Earth. With this tool, Designers can import a scaled aerial photograph from Google Earth to SketchUp with the click of a button. This can include topographical information as well. The SketchUp Pro comes with Layout, which is a 2D companion to SketchUp Pro. With Layout, you can create professional design documents, dimensioned drawings, and presentation documents from the 3D models you created in SketchUp Pro. When the model updates in SketchUp Pro, the changes would automatically updated in Layout. SketchUp is not a headache for the new beginners. Therefore, do not lose your sleep. There are help menu, help centre, SketchUp Reference Guide, quick Reference Card where a user can print a PDF showing helpful shortcuts. There is a link for SketchUp as well as a link for Layout. Here are a few helpful tips to help uses get started. When using your mouse, the left button is for tool operations and the right button is for the context menu. The middle button (wheel) has several functions: click and drag to orbit, shift click and drag to pan, double click to re-center your view, and scroll to zoom. The spacebar operates the Select Tool. You can use ctrl spacebar to add to a selection set, shift spacebar to toggle in and out of a selection set, ctrl A to select all, and shift ctrl to subtract from a selection set. Finally, please print and read the Quick Reference Card before proceeding to use SketchUp. One of the many features of SketchUp is that it uses a wide variety of file formats in the likes of DWG, DXF, OBJ, FBX, XSI, and WRL. If the users do not want to take the time to import a file into ACA, they can also create a screenshot of the file and save it in BMP, JPG, PNG, PDF, EPS, and TIF formats for presentation purposes. How ACA file to import into SketchUp ? Importing ACA file to SketchUp is not a big deal for the designers. All the designers have to do is to know the basic feature of SketchUp. This process will be much easy if these are possible. Let us begin by opening SketchUp and Select the file Menu. User can see the option button, under the preview area. Select options and then select the options that need in the dialog box that opens. Now select the file that you wish to import and click open. If you do not see the file you are looking for, be sure to click on the drop-down next to File Type to ensure that you are searching for the correct file type. Congratulations! You have now successfully imported a drawing into Google SketchUp! It is important to note that the SketchUp file will have the same 0,0 origin as your AutoCAD Architecture drawing. The designers should begin it by right-clicking and selecting Make Group. Then select the Line tool and select any corner of the perimeter to start the line. Now, enter the wall height in the Measurements box and press enter. Next, select the Rectangle tool. Begin your rectangle by selecting the endpoint of the line you just drew and end the rectangle at a point on the wall. Continue it until all exterior walls are erected. The designers will definitely found that it is easier to form the exterior first. Now that all exterior walls have been erected and closed, the designers have to create a face. The face is used to build the roof once you are ready to do so. Next, select the face, select the Offset tool and enter the thickness for the exterior walls you have just created. Now select the face and use the Push/Pull tool. Push the face down to create the interior face of the walls. This will develop the interior face of the exterior walls so that you can continue to create the interior walls at this point using the steps above. Therefore, after the creation of walls, a designer will need to decide other important things such as header heights, doors and window sizes and styles. Once you are ready, be sure you are in X-ray mode. Now the designers have to insert the door component you selected and place it by referencing a point on an opening in your imported AutoCAD Architecture file. Then he/she have to keep continuing the placement all door components using X-ray mode. Next place all windows using the same method stated above for door placement. For example, if designer are going to place a window component above an overhead door, he/she will reference a point on the window and a point on the door. A camera is used by SketchUp to represent user’s point of view of the model. You are a camera that is looking at your model as you work. SketchUp uses several tools for viewing your model in 3D space. These are tools familiar to you in AutoCAD Architecture: Pan, Orbit, Zoom, and Zoom Extents. Each of these tools can be found on the Camera toolbar. Dynamic Components can be defined as components that have parametrics. For example, a cabinet component has doors that open and close. A component is only considered dynamic when it has parametric data. Dynamic components will display with a special badge when parametric data is present. Attaching attributes to a component is what makes the component dynamic. Attributes are items such as the component’s name, description, location, size, and number of copies. Some attributes are predefined, which means that they are automatically available for every dynamic component. There are also custom attributes that are unique attributes defined by the developer of the dynamic component. Every attribute of a component has a value that can be a textual string, a number or the result of a formula. Each attribute and its associated value is called an attribute name/value pair. Formulas can consist of predefined functions, mathematical operators, or the values of other attributes. Functions are shortcuts that perform an operation, such as calculating the square root of a number. It is important to note that all SketchUp users can use dynamic components. However, only SketchUp Pro users can develop dynamic components. To make a component dynamic, right-click on the component, select Dynamic Components, and then select Component Attributes. Select Add Attributes and a dialog box will display with attributes that can be added to your component. Once you have added the attributes, the new dynamic component can be saved to a component file for additional use later. How to export a SketchUp File, into AutoCAD Architecture ? Exporting a Google SketchUp file into AutoCAD Architecture is same easy. Once you are ready to export, select the File menu and select Export. Next, select 2D Graphic or 3D Model, depending on the file you are exporting. Select the export file type from the drop-down. You are exporting to AutoCAD Architecture, so you would select AutoCAD DWG. By selecting the Options button at the bottom, you can choose which AutoCAD version you are exporting to as well as the drawing scale and size. Select OK and then select Export. The export is now complete! It is important to note that you can alternate between ACA and SketchUp multiple times. Your drawing does not have to be complete before importing it into SketchUp or from SketchUp into ACA. The 3D Warehouse (formerly Google 3D Warehouse) is an accompanying website for SketchUp. It is a free cloud service that allows users to search, upload, download and share 3D models. The site enables modelers to upload their work from within SketchUp or by uploading .SKP or .KMZ files via the 3D Warehouse website. The 3D Warehouse currently holds over 2 million models. Individual models can be viewed in 3D on the web using a modern Internet browser that supports WebGL, or with the SketchUp Mobile Viewer application compatible with current iPad devices. Users can search and download models from 3D Warehouse from a web browser or from within the SketchUp desktop application. In 2008, PC World reported that 3D Warehouse allows users without significant artistic inclination to make and populate 3D models. Also in 2008, The New York Times reported that the 3D Warehouse had become a virtual ‘dictionary’ of the 3D vocabulary, reporting its suitability in filmmaking. A great feature of SketchUp is the 3D Warehouse, which allows you to search for 3D models made by other users as well as contribute 3D models of your own. It contains 3D models of buildings, cars, bridges, interior furnishings, and much more. A new feature allows you to search for similarly shaped models instead of relying on a text search. This really saves time when you are in a hurry to find a specific item. The 3D Warehouse is a wealth of information and can help you design quickly when facing a tough deadline. The SketchUp contains a vast library of colors, textures, shadows, lighting, and so on. The Rendering tools and materials libraries in ACA combined with the tools in SketchUp can produce awesome presentation renderings. Select the File menu and select Send to Layout. This will open Layout, a feature that is included with SketchUp Pro and is used for creating and sharing presentations made from SketchUp. You can add title blocks, save templates, add graphics, and create multi-page documents. Layout gives you more control over color, style, and weight of the lines and faces in your SketchUp model. An intelligent designer can use the SketchUp in various ways for the classic drawings. Nevertheless, we can tell you that it is just some examples that we have brought to you. There are gigantic things to be discovered by the enthusiastic designers. The world of SketchUp is next to endless. So, the crazy designers, now it is your turn to spot those. Download the free version, try it and see how you like it. There is nothing better than going to a meeting with awesome drawings that took only minutes to complete.